As you can see, we don’t just do websites for hood cleaning. We can do them for candidates for office as well. 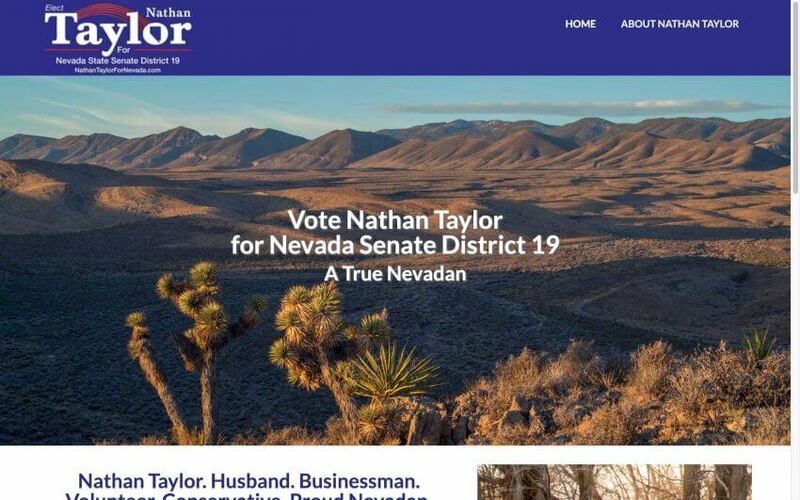 We have known Nathan Taylor for years and he really has his heart on his sleeve to get elected to office. He is conservative and loves Nevada like nobody we know. Ironically, Nathan’s Senate District is in the same district that elected a dead candidate who was the owner of a brothel!